You may be a beast in the gym or on the track, but if you spend a lot of time sitting, you still may be at increased risk of cardiovascular disease, diabetes and other diseases. That’s the word from the American Heart Association, which has published a scientific statement about the dangers of too much sedentary time. “Regardless of how much physical activity someone gets, prolonged sedentary time could negatively impact the health of your heart and blood vessels,” said Deborah Rohm Young, chair of the new scientific statement published in the American Heart Association journal, Circulation. The authors say people should try to exercise 30 minutes or so a day to achieve the AHA’s guideline of 150 minutes of moderate to vigorous exercise per week. But, they said, this amount of exercise doesn’t necessarily offset the unhealthy effects of prolonged sitting. Researchers should explore the issue further, the authors said, but the statement was issued to emphasize the dangers of spending too much time in your chair. “It’s too early to make conclusive recommendations other than to encourage Americans to ‘sit less, move more,’” said Young. Sedentary activities are generally thought of as time when a person is sitting or lying down. The U.S. Centers for Disease Control and Prevention offers guidelines for how much physical activity a person needs. Adults 18 to 64, the agency says, should get one of the three options below. The American Heart Association statement, “Sedentary time may raise heart disease risk – sit less, move more,” is available on the association’s website. The CDC’s page, “Physical Activity Basics,” leads to information about the recommended levels of activity for adults, children, seniors and pregnant or postpartum women. Talk to your health care provider about ways to keep up your physical activity and limit your sedentary time. 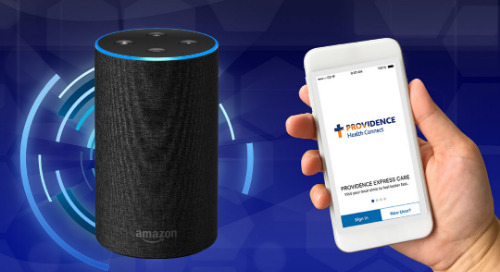 If you’d like to contact a Providence provider, you can find one here.